1. A suspiciously quiet Mandrake baby you should refer to as "Bonsai" for the Muggles' sake. Get it from Amazon for $22.47+ (available in two sizes). 2. 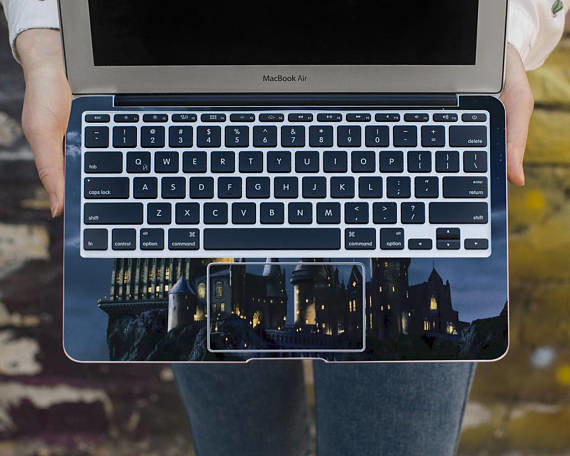 A Hogwarts laptop decal to make your Muggle homework way more magical. 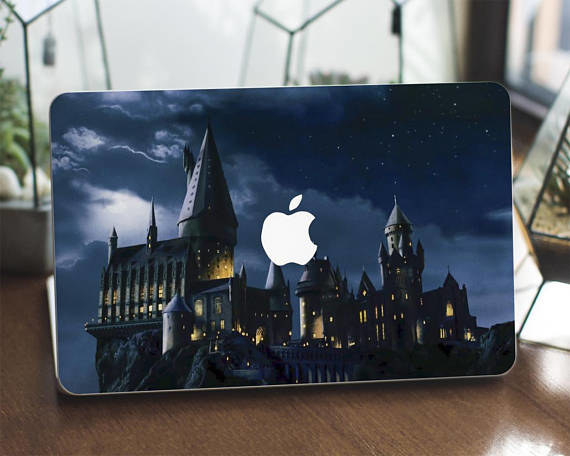 Get it from Own Way Skins on Etsy for $16.14+ (available for most Macbook sizes). 3. A Butterbeer candle, because your pumpkin spice candle could never smell as good as the Three Broomsticks. Get it from Nook and Burrow on Etsy for $18.27. 4. 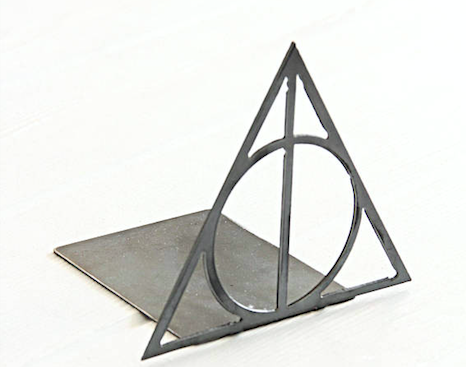 A Hedwig-inspired jewelry cage that will actually be pretty terrible for housing your snowy owl, but will perfectly hold all your jewelry (or horcruxes) safely. Includes a gold finish, black satin pads to prevent scratching, and rotates to easily access jewelry. Get it from Pottery Barn for $99. 5. A set of floating diamond glass terrariums so beautiful you'll know Neville had a hand in making them. Get them from Amazon for $14.95+. 6. A set of Marauder's Map bedding to keep you covered when you are up to no good, we solemnly swear. Get it from Hot Topic for $74.90 (full/queen). 7. A mermaid blanket you could throw on a sofa to make it look chic, or throw on your body to look like someone who just ate a crap ton of gillyweed. Get it from Amazon for $14.99+ (available in two patterns and 11 colors). 8. A toilet decal with directions we recommend not following. 9. 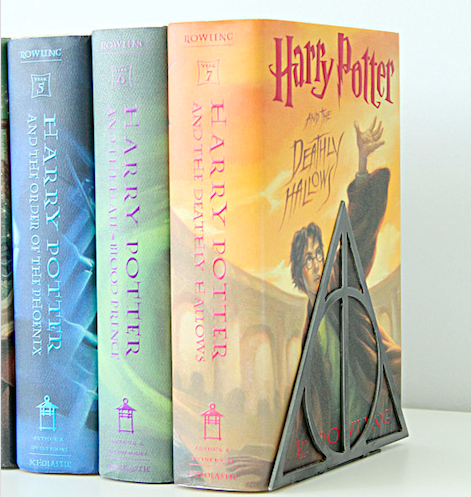 A Deathly Hallows bookend to keep your treasured stories safe. Get it from Highland Ridge Rustics on Etsy for $21. 10. 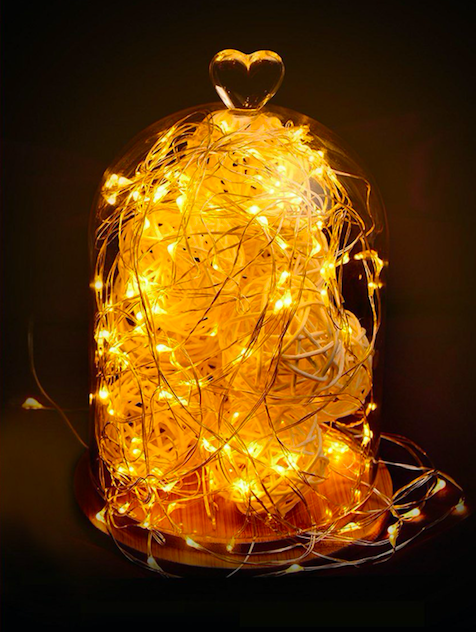 A toilet night light that would totally make Moaning Myrtle be all, "Where has this been my whole (after) life?" 11. A Dumbledore-approved gold-foil watercolor print so lovely you will want one for every room of the house. 12. A do-it-yourself magnetized sandscripter to bring out the actual (artistic) wizard in you. 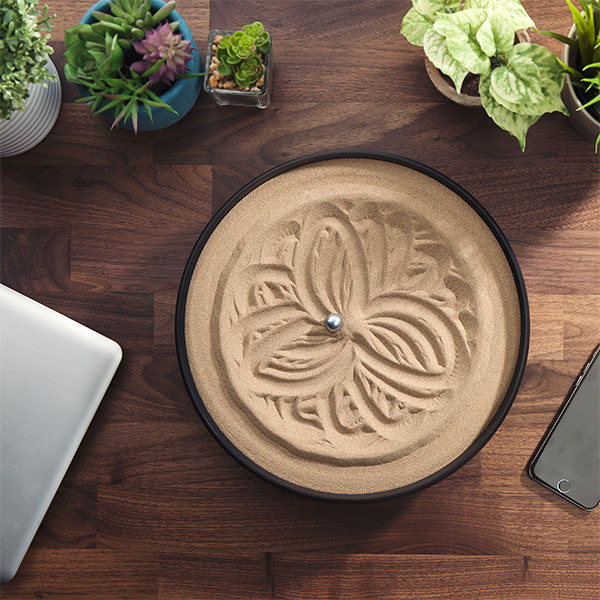 Includes sand, AC power adapter, three knobs for adjusting design, and two stainless-steel balls. 13. A sunburst mirror, like The Mirror of Erised, to show you your deepest desire, even if your desire is usually just getting eyeliner on straight. Get it from H&M for $34.99. 14. A doormat that's actually pretty useless, because it tells everyone how to unlock the door. Get it from Artsy Doormats on Etsy for $33.97. 15. 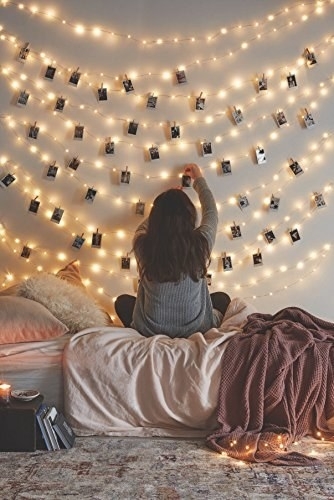 A set of starry twinkle lights that just may look like they came straight from a spellbook. Get them from Amazon for $17.88. 16. 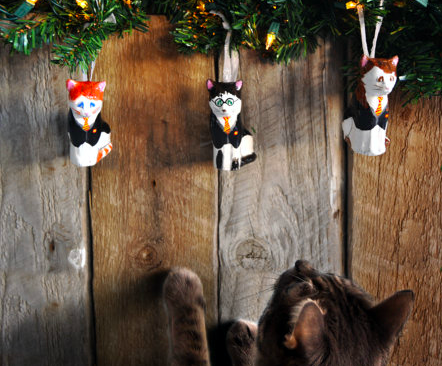 A selection of Harry Potter cat ornaments for keeping your holiday decorations both Harry and furry. 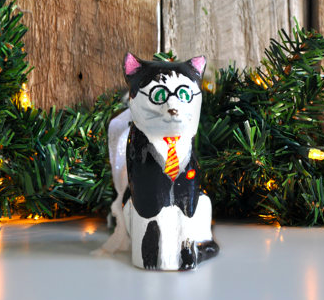 Get them from If It Purrs on Etsy for $15+ each (available in six Harry Potter characters). 17. A platform 9 3/4 sign to help you find the wizards in your world...or make people think you're really into fractions. Get it from Green on the Vine Design on Etsy for $14. 18. 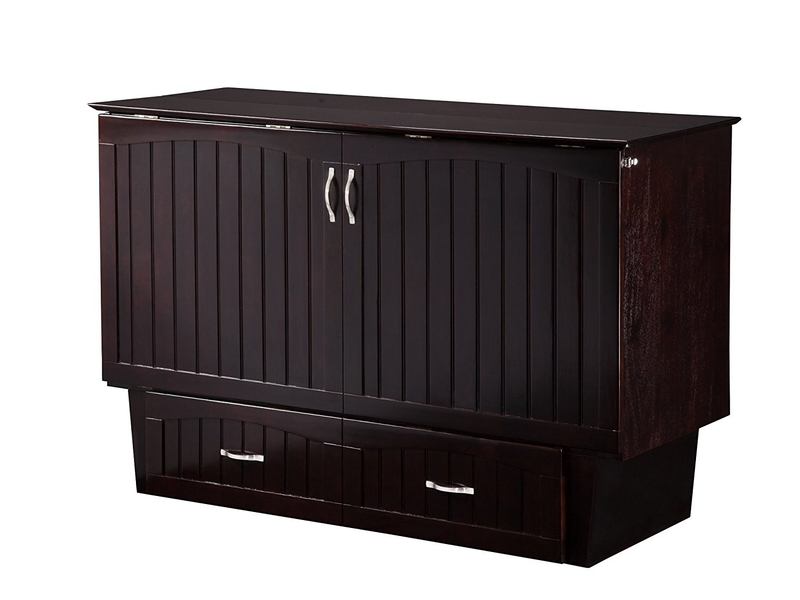 A Murphy bed that will magically convert your studio apartment into a rustic entertainment space by day and a luxurious bedroom by night. Get it from Amazon for $1,099.97+ (available in twin and queen, three finishes). 19. A traditional rug for cozy nights in the common room. Get it from Amazon for $144.68 (available in two colors). 20. A golden snitch clock — it would surely let you catch a few more minutes of sleep, if you could catch it. Get it from Pottery Barn for $49. 21. A levitating succulent pot to charm and enchant all who see it. 22. A Patronus bed set for cleverly hiding your Harry Potter passion in the comfort of some snuggly sheets. 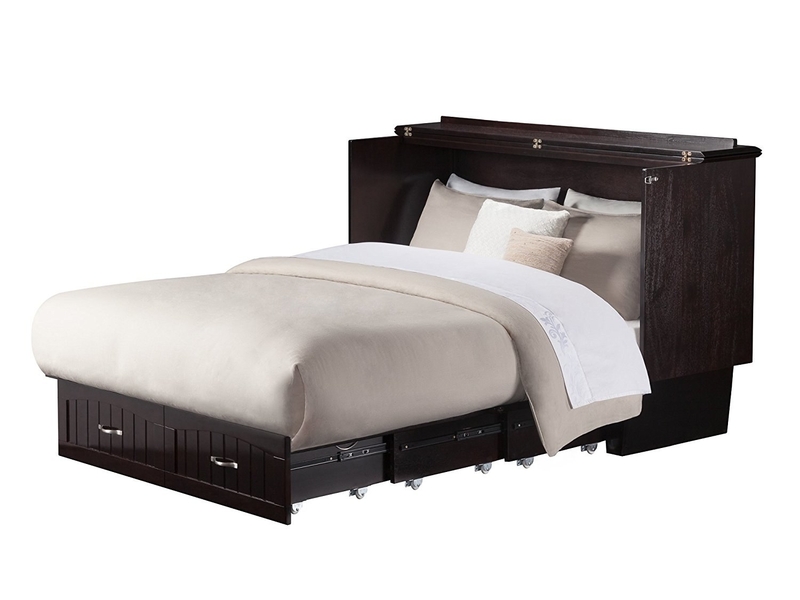 Get it from Pottery Barn for $29.50-$149 (available in twin, queen, and king). 23. A salt crystal lamp that would give the Sorcerer's Stone a run for its money. 24. A lightning bolt tapestry to keep the sparks alive in any room of the house. Get it from Redbubble for $30+ (available in three sizes). 25. A decorative pillow so charming we know you are going to love it good. Get it from W. Francis Design on Etsy for $19.67+ (available in five sizes in polyester or cotton). 26. A gorgeous display of gilded butterfly wall art, because if you had a Patronus it would be a million butterflies. Get it from Pottery Barn for $149. 27. A rustic cabin shower curtain perfect for Hagrid to take up shop in your bathroom, naturally. Get it from Amazon for $29.99+ (available in three sizes). 28. A floating bookshelf that will prove you have been reading up on your levitation charms. Get it from Urban Outfitters for $16 or 2 for $24. Also available in a double bookshelf for $14.99. 29. A snuggable cat lamp Crookshanks would probably hate because it will be squishy, adorable, and light up with just a touch; he could never compete. Get it from Amazon for $13.49 (available in three faces). 30. A light switch plate that can bring you happiness even in the darkest of times, if you only remember to use it to turn on the light. Get it from Amazon for $24.49 (available in two colors). 31. And a pair of particularly circular glasses to casually leave out on your coffee table when someone comes over so you could be all, "Oh, my friend left those here. He's so forgetful. And powerful." Get them from Amazon for $5.25.